We have teamed up with Roberts Recycling Ltd to do a clothes recycling fundraiser. All gymnasts will be given a bag to fill with clothes for recycling in their classes from Thursday 7 June. The bags need to be returned by Sunday 17 June. We can only take re-saleable items and the specifics are visible on the bag. We can raise £450 for the club and £50 for The Fire Fighters Charity per tonne collected. 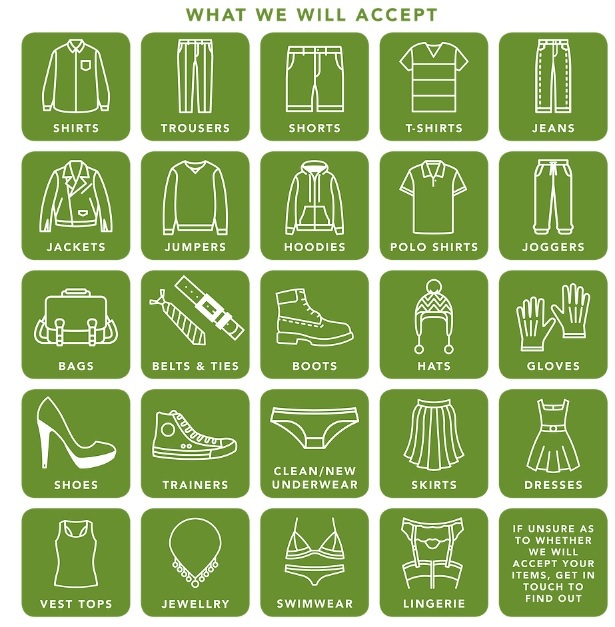 Please tidy out your wardrobes and get your families to join in too! There will be additional bags in the parents room but you can use any clean black bin bag.